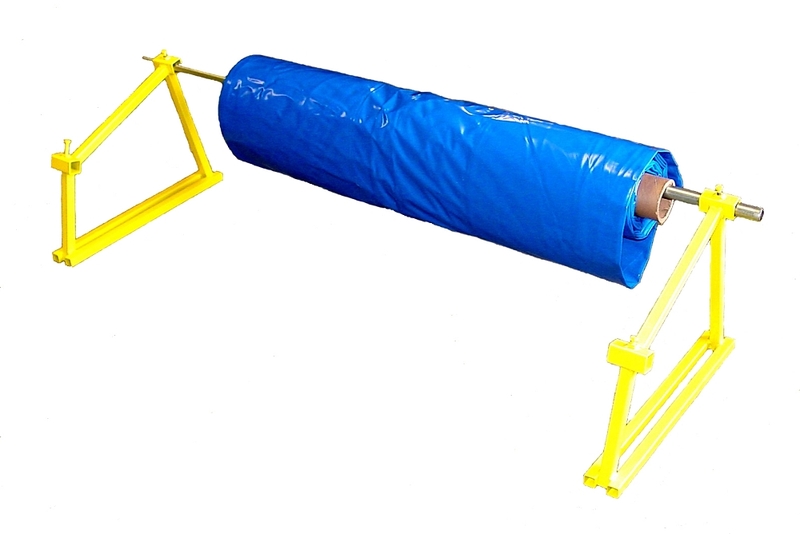 The Light Weight Film Rack with 72 inch pole is a film rack that is very helpful in managing rolls of shrink wrap up to 66" in width with the included 72" galvanized pipe. The side rails are made of high strength welded and powder coated steel that can be mounted to the wall, floor, or left free standing. There are two positions for the pole or a second pole can be added to accommodate two smaller rolls. The Light Weight Film Rack makes the installation of shrink wrap much easier for you. A film rack is important in that it allows you to easily roll your shrink wrap over your project. This helps keep the shrink wrap clean and protected allowing for the best adhesion of welds including surface preparation for tape, doors, vents, etc.